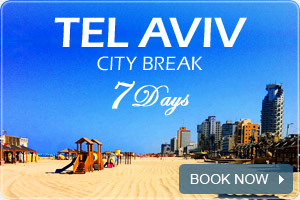 Tel Aviv is most famous for its beautiful coastline, filled with colorful cafés and fine restaurants, overlooking white sandy beaches and the sea. Tel Aviv beaches are the centre of attraction for Tel Aviv residents and of course tourists, from the early hours of the morning joggers fill the promenade and by the late night they are exchanged by the youngsters out for a party. Explore Israel's ancient Roman cities and ports.